Well, what a 48 hours that was. Thankfully, no injuries or worse reported. Power has been restored to most of the 66,000 homes that have been off since Friday night. We are pleased to let you know that the resilience of the network was severely tested, and proved to be very successful. 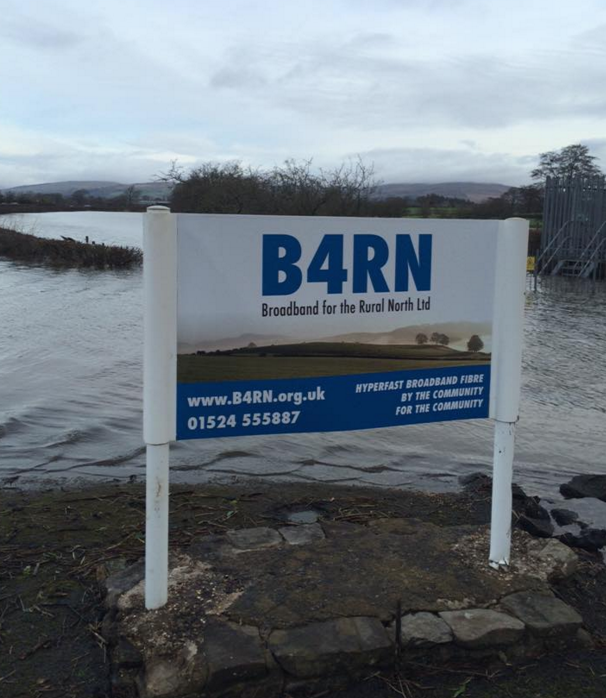 The hubs in the areas with no power continued to work as planned, well done to the B4RN team and thanks to TNP. Special thanks to Alistair who worked through both nights this weekend checking and maintaining the service. Power has now been restored and all systems are fine. We have to cancel the planned AGM on Wednesday as we have another amber alert from the Met Office. The bridges leading to Melling from all sides are still either closed or restricted, but even if you could get to Melling, the road near the office keeps flooding. The meeting was being held in the evening and the directors of B4RN have decided not to risk any accidents, so the new date f​or the AGM is probably January 13th, and shareholders will be informed. The water was over waist deep at our entrance this weekend, and could still rise to a few feet if more rain comes as expected on Wednesday. 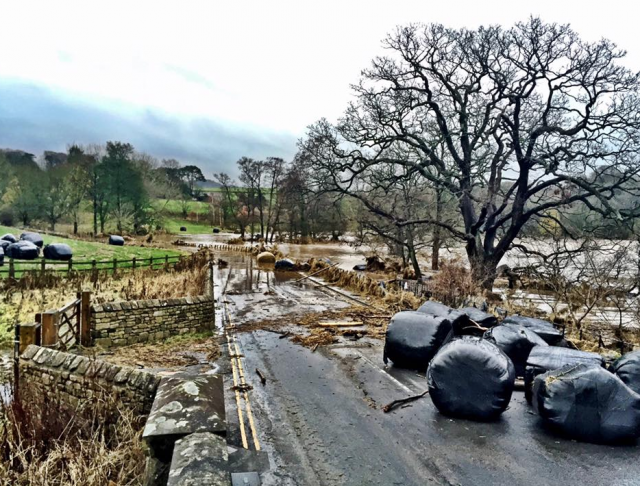 Photo by Paul Smith, the devastation at the Crook of Lune as the waters recede. 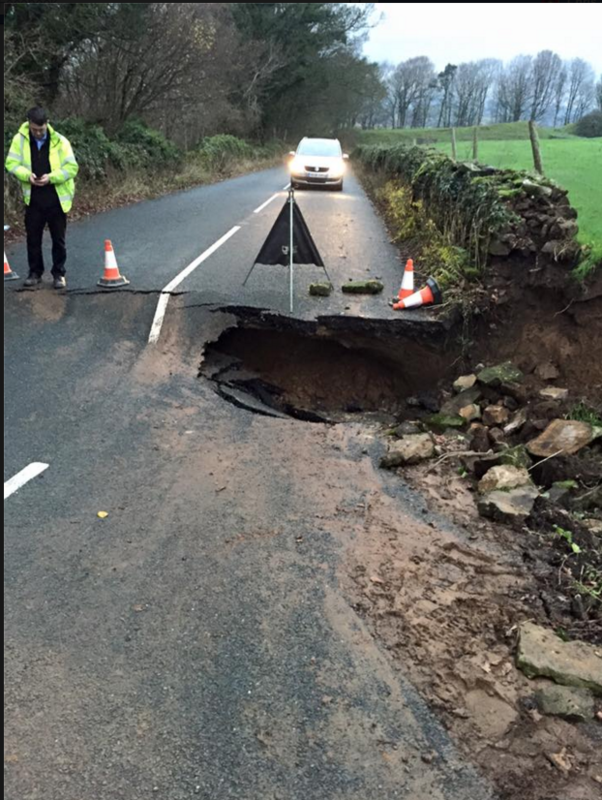 The water levels down in the valley are receding, but there is a lot of work needed to make the roads safe again. Crook O Lune Bridge is now blocked by an articulated lorry. 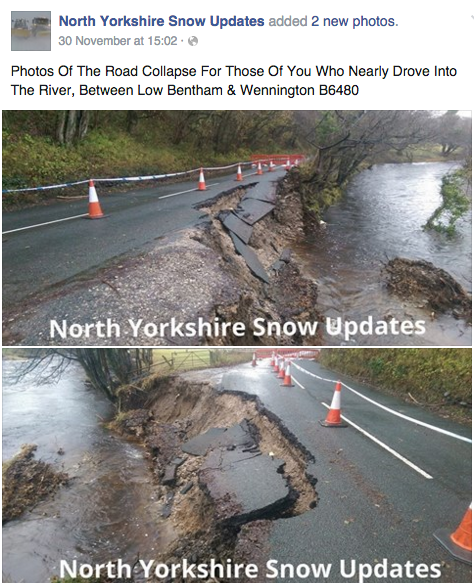 Thank you to the utilities for their unceasing work this weekend, and the police and fire brigades too. Schools and hospitals are shut. Check before travelling.